Jack Callahan is a ski-instructor. He is also one of the best rescue worker in the Aspen, Colorado area, knowing the snow and the mountains like the back of his hand. Before that, though, he was in the Army Special Forces, a Green Beret, who went to Vietnam in 1968, spent three years surviving in the jungles taking part in numerous missions, several of which were black ops with the CIA. During his time there he earned several medals, including the Distinguised Service Cross, Bronze Star, and several Purple Hearts. After his enlistment was up, he got out and turned his training into another career, offering his gun for hire in war spots around the world. His most notable activity was in war-torn Rhodesia. He served in that area for four years. The action was enough to last him a lifetime and when he quit, he decided to quit the whole profession. As the two-book series begins, Callahan has turned a love of skiing into a new life and has been in Aspen for seven years. In his mid-thirties, Callahan has been a bachelor all his life with his only steady companion being a 130-lb Rottweiler named Boomer. He has happily left his violent world behind but now and then that world catches up. 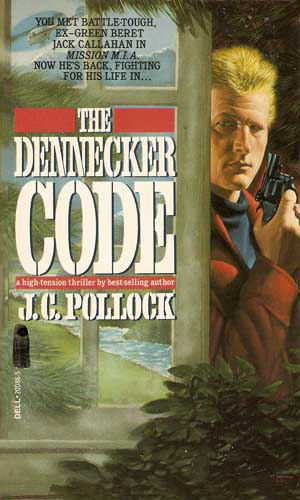 The series is included because both adventures Callahan gets involved in have international consequences. The first is more of a paramilitary operation with the added complexity of some elements of the U.S. government not approving the action. The second is largely a mystery involving a former Nazi and a deal with the devil made by several influential Americans who would rather no one find out. A woman has proof that her husband is still being held by the Vietnamese but no one in the government is willing to listen let alone do anything. Jack Callahan finds some old friends who will help. Jack Callahan was leaving a violent life behind him when he and his new lady friend come across a dying man near Aspen, Colorado. The documents he had with him start getting people around Callahan very dead as the ghosts of Nazi Germany's war criminals won't stay dead. Mr. Pollock is an author that has never received the attention he absolutely, definitely deserves. When I read the first series of his I had heard about, Jack Gannon, I could not put the book down. I really grew to like that character and wished for more books about him. 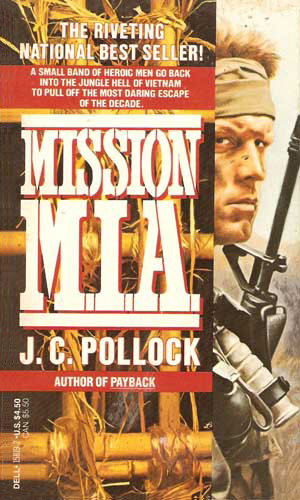 A couple years later, I revisted Mr. Pollock and discovered he had another two-book series, written many years before. I discovered that they were as much fun and as hard to let go as the others. I strongly recommend this series to anyone who wants good adventure with an international twist.